And here's how you to make this your go-to wardrobe staple. 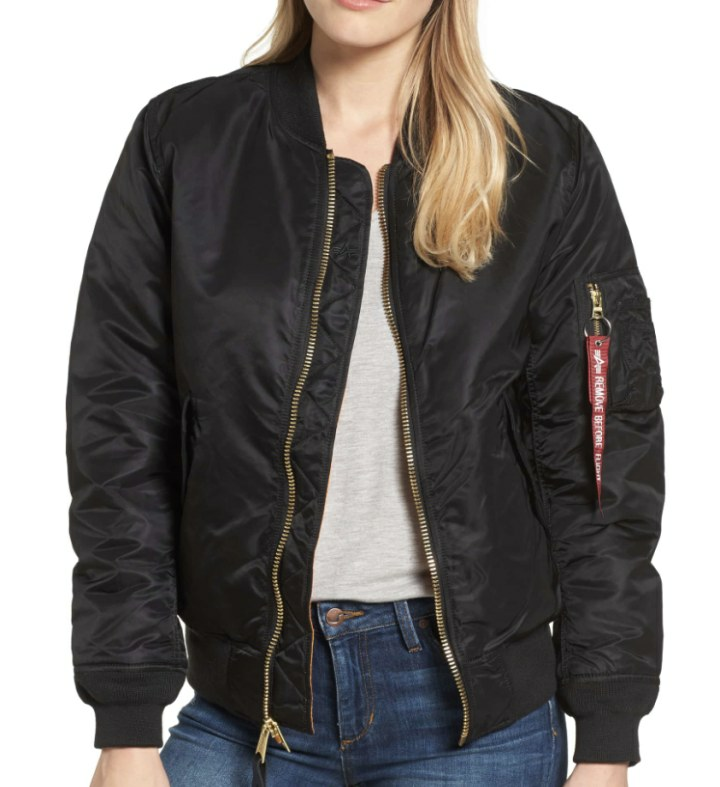 Along with a jean jacket, the bomber is another fall and winter staple you can wear all year. It’s perfect for layering and pairs flawlessly with jeans. 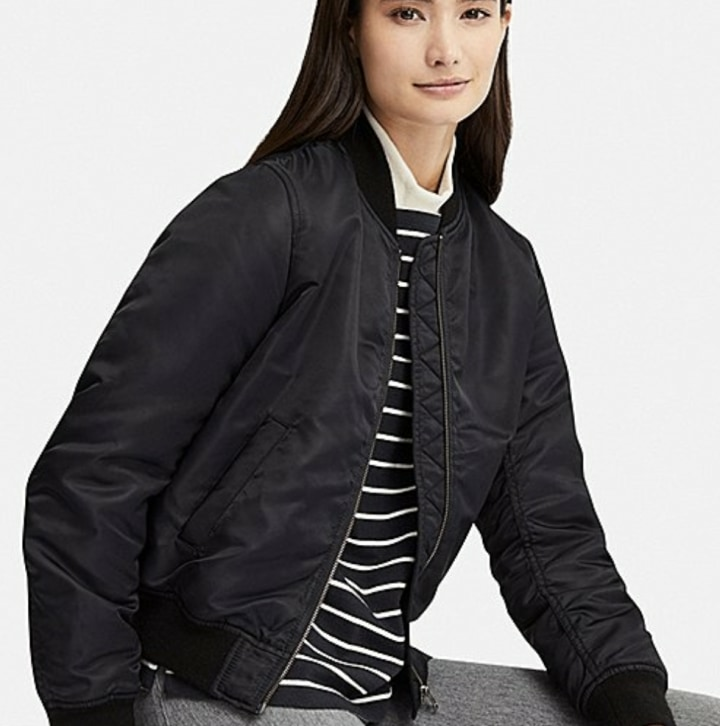 For a truly surprising look, pair your bomber with one of the ubiquitous prairie dresses we’re seeing everywhere, or with a leopard skirt and black sweater. 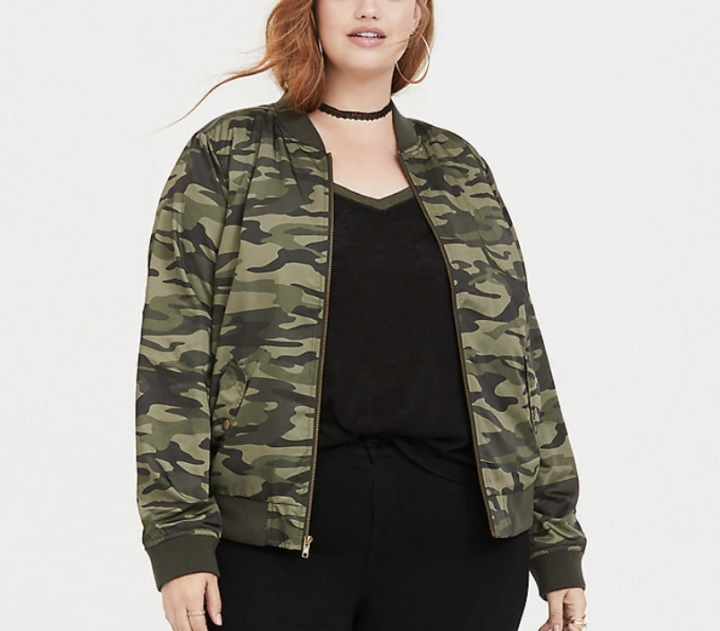 And wait, you think you can only wear a bomber on school runs? Not so fast, dear friends. “If you buy one in a dressier fabric like silk, you can wear it with a fancy skirt! Try and explore color combinations within this winning palette: black, grey, army, leopard. Add a statement crystal necklace for an unexpected punctuation,” said Jaffe. 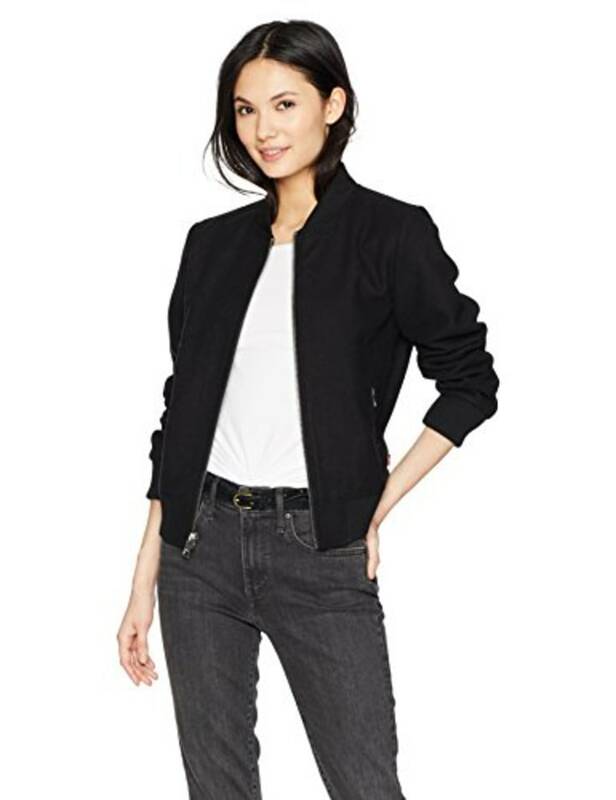 The slim fit makes this jacket great for indoor and outdoor wear. We love the glossy finish, and the brand's "Remove Before Flight" tag. Ready for takeoff! Perfectly classic, with an on-trend cropped cut. 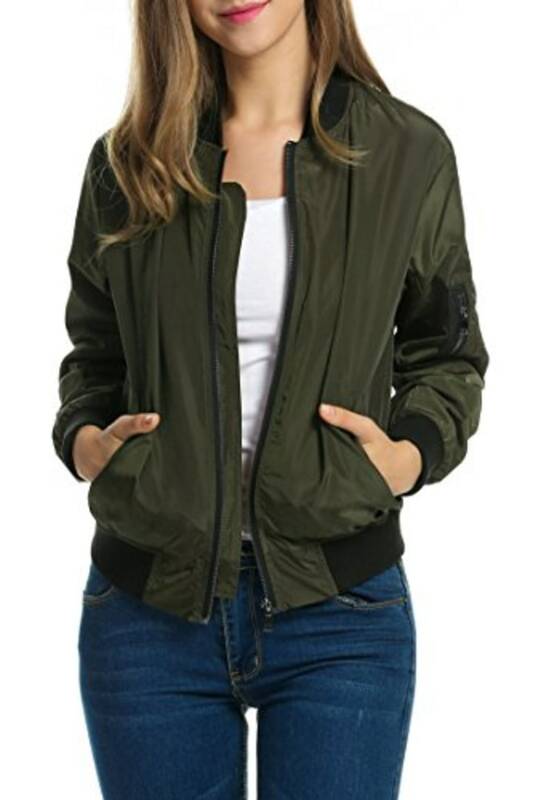 A timeless green jacket at a price you can't beat. 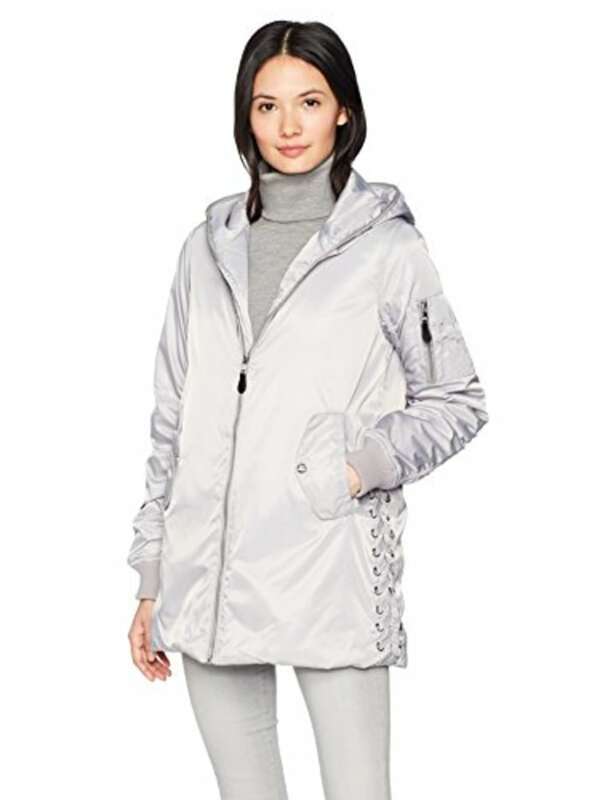 The millennial pink lining gives this jacket a surprisingly feminine touch. 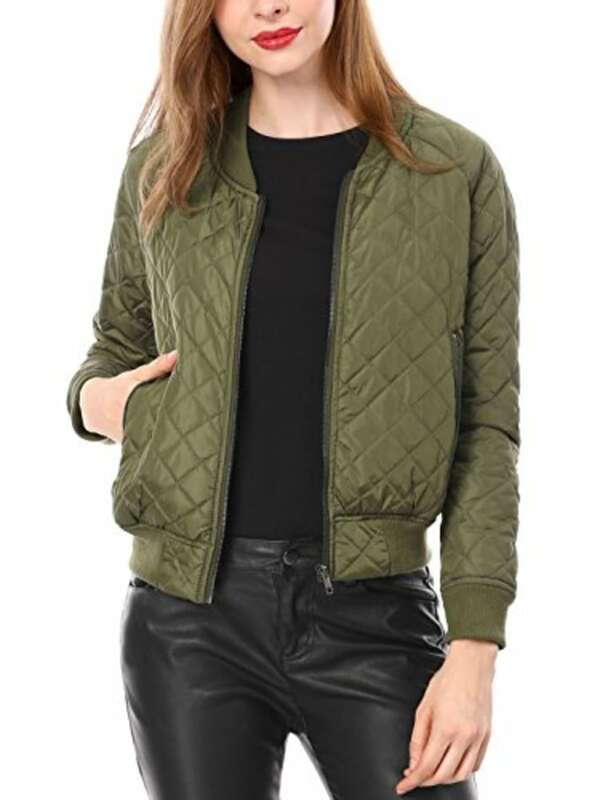 The quilted pattern makes this a great option for fall. 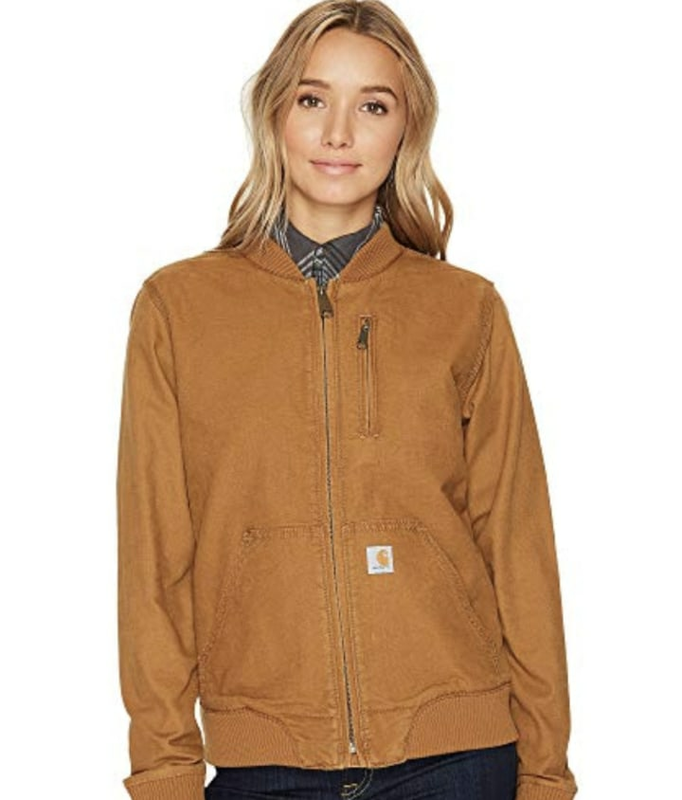 This canvas jacket is durable, but also packs a lot of style. We're totally mad for plaid, and can't wait to add this to our fall and winter clothing arsenal. 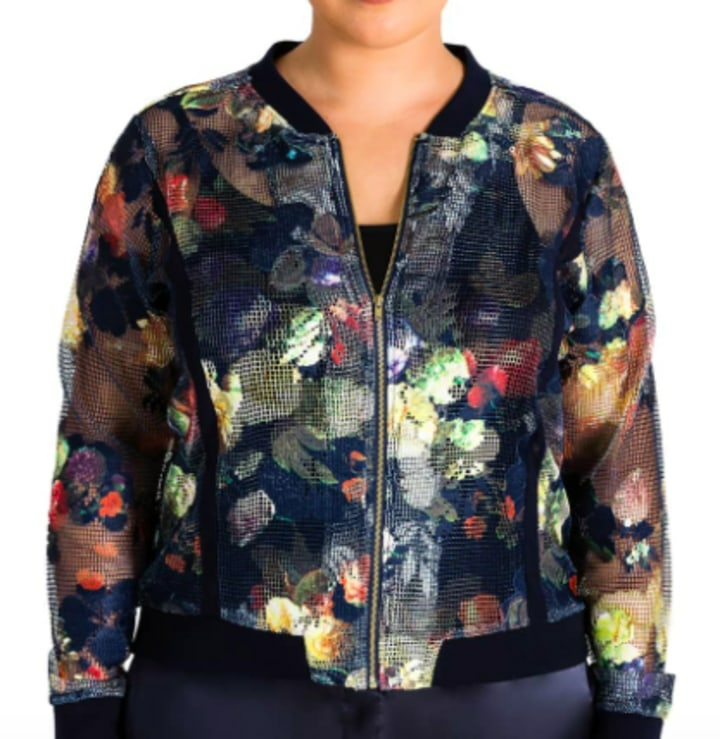 The flower pattern and mesh fabric make this a truly vivid layering staple. We love the sleek cut, and the side detailing. Plus, the color is just so cool.